Get out the brill cream and slip back to a time before the internet, jeans or even Bernie Ecclestone. This celebration of classic motorsport is a terrific time-capsule of fun and frolics. The Goodwood Mess offers guests a chance to be part of something special with spontaneous entertainment providing a colourful, animated atmosphere. This uniquely themed pavilion is located track side, at the centre of all the action, next to the assembly area and just beyond the start/finish line, with great views all the way to the mighty Madgwick Corner. Overlooking the start/finish line, these pavilions are set-dressed as an officers’ dining room with viewing either outside from the decking, or inside where you can enjoy air conditioning with plasma screens. Guests also have access to the Paddocks, where all the cars and motorcycles are based, which is limited at Revival. 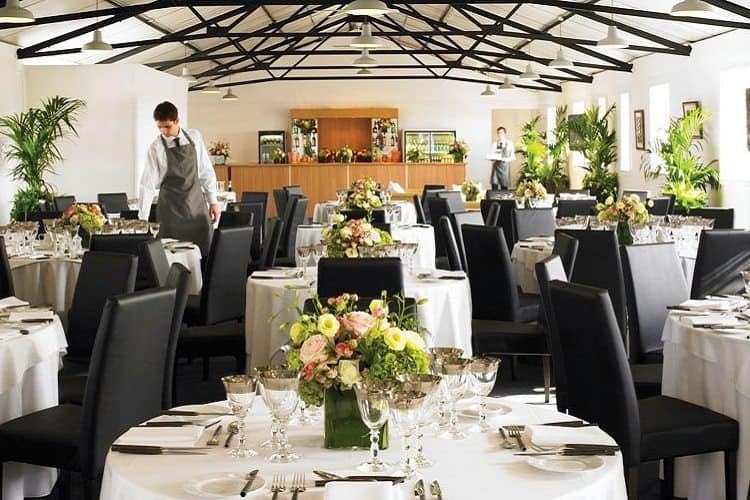 As well as your tickets, the experience includes: light breakfast on arrival, Champagne reception, four-course lunch, traditional English afternoon tea, unlimited house wine, Goodwood beers and soft drinks, forward car parking label, plus an event programme, race card and Goodwood radio for each guest. Sunday £425 + vat per person. A famous Goodwood landmark, the Supershell Building is seen in many pictures of the renowned historic days of racing at Goodwood. Many of our guests return year after year to enjoy the exclusive club atmosphere, which is always a memorable experience. This 1950s building sits right on the edge of the track by the entry to Woodcote Corner, one of the fastest on the circuit. Not only will you have a thrilling vantage point, but you will have reserved seats in the Woodcote Grandstand also guests also have access to the Paddocks, where all the cars and motorcycles are based. Sunday £525 + vat per person.